In Mark Passio's work, which Julian and I have distilled, there are 2 basic distinctions to Magic: Sorcery and Wizardry. We have expanded on this to extrapolate the core principle at work in each modality. WE ARE ALL Magicians of consciousness, and what that means is, we create at ALL moments of NOW using either form of manifestation. In addition, the universe we are a part of is predicated or based on FREE WILL, which means there are no victims, only Contracts of varying degree's of honor-ability. While your awareness of how this perfect harmony unfolds maybe limited, it operates fully and completely with or without your conscious awareness. It is when we begin to acknowledge Natural Law, Universal Law, and the Contractual Nature of our reality that we see the 2 forms of manifestation swing into focus. Manifestation of our Desires using our WILL, is how ALL things come into BEing within our reality. How we choose to make our desires a reality is where we begin to see the differentiation between Wizardry and Sorcery. Wizards, use co-creation to achieve their goals and ends. Co-creation, just like with Contracts, requires full transparency, responsibility and liability in order to be honorable. Which means, if you have a desire, then you work with others transparently to co-create your desire. Consent of ALL beings who are impacted is the key. For example, if you want to create a Permaculture farm, in order to gain consent, you would need to reveal your intentions and ideas to ALL who would be affected by your actions, and if even one person does not fully understand, you take the time to expand their awareness so that they can understand; even at the cost of your desires. Do no HARM is another guiding principle of Wizardry. Sorcerers, use manipulation and deception to achieve their goals and ends. Taking the example from above, if you desire to create a Permaculture farm, instead of gaining consent of all who would be affected, you just begin your project regardless of who is impacted. Sorcerers generally are only focused on the ends being achieved, regardless of the effects they may have on others; a Service to Self Modality. Manipulation involves only revealing what you need in order to get your way; non-transparent dealings with others. For example, if you want to live in a clean house with your room mate, instead of making this intention known and working to co-create with your roommate, you instead resort to outbursts of anger and insults to compel this person to adhere to your will. The KEY Concept: is Wizards offer expanded consciousness, awareness and empowerment to those that come into co-creation with them. This means one's truth is offered and ALLOWANCE of that individual to freely integrate this truth is maintained. A Wizard Allows, but does not Force. Which means some desires will not be manifested until ALL whom are affected consent. Sometimes this means changing yourself to suite the greater whole, instead of only thinking of yourself and what you want. A Sorcerer will justify the means to gain the ends, and as a result will create more chaos and obstacles which will need to be addressed after the fact. Forcing and Manipulation always come with a price. As the below post describes, the Sorcerer uses a "dark spirit" whom they have willing entered into a contract with, to manifest their desires into the world. This form of Dark Magic, or Sorcery comes with the price of becoming the slave of the "dark spirit" after the life of the Sorcerer has ended. While the usage of spirits has popularly been associated with Dark Magic, many forms of White Magic employ Spirits. Consider the work of Channellers, Mediums, Psychics and the like, who all employ various Spiritual Intelligence's to achieve their ends; usually expanded consciousness and knowledge. And obviously Source, the Creator, or God, is also a vast spiritual intelligence at the Wizards disposal for self empowerment and co-creative expression. A wonderful example of White Magic would be the Law of One Material and the Scole Experiments. Final Note: Each of us is already acting as a Wizard or Sorcerer in different times within our life. 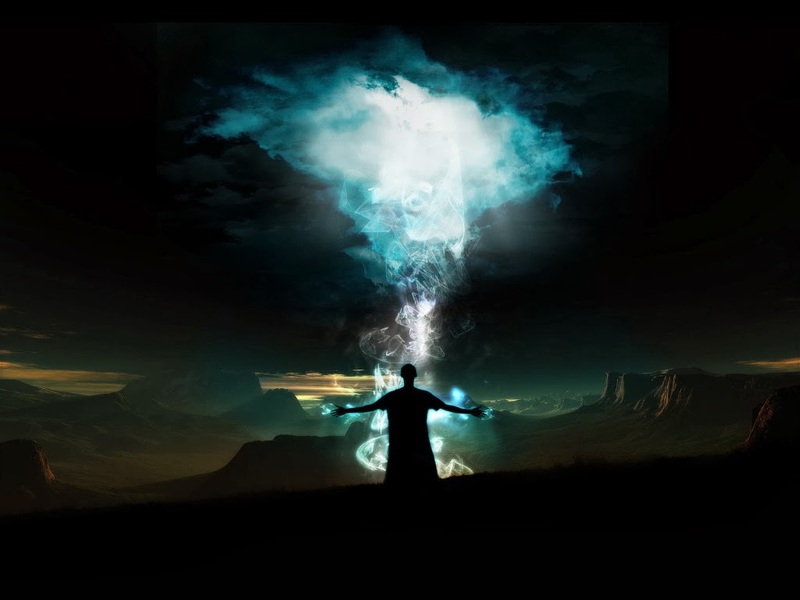 This Data is Empowering for us, because we can reflect on our past experiences and future aspirations to determine which mode of manifestation we are using; choosing the best for ALL and avoiding the costs associated with Sorcery. Although Wizardry requires more effort on the whole, it will always yields growth and expansion for all involved. And we are entering into a time, when Wizardry or Service to Others, will be the key form of expression, appose to Sorcery which has ruled the day for thousands of years since the Fall of Atlantis. 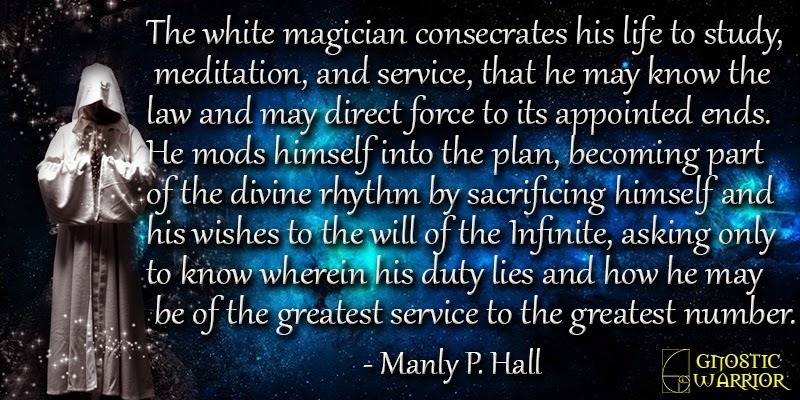 (Source: Many P. Hall Secret Teachings of All Ages) – CEREMONIAL magic is the ancient art of invoking and controlling spirits by a scientific application of certain formulae. A magician, enveloped in sanctified vestments and carrying a wand inscribed with hieroglyphic figures, could by the power vested in certain words and symbols control the invisible inhabitants of the elements and of the astral world. While the elaborate ceremonial magic of antiquity was not necessarily evil, there arose from its perversion several false schools of sorcery, or black magic. Egypt, a great center of learning and the birthplace of many arts and sciences, furnished an ideal environment for Transcendental experimentation. Here the black magicians of Atlantis continued to exercise their superhuman powers until they had completely undermined and corrupted the morals of the primitive Mysteries. By establishing a sacerdotal caste they usurped the position formerly occupied by the initiates, and seized the reins of spiritual government. Thus black magic dictated the state religion and paralyzed the intellectual and spiritual activities of the individual by demanding his complete and unhesitating acquiescence in the dogma formulated by the priestcraft [extrinsic beliefs which must be accepted without having intrinsic understanding; this is the basis of ALL forms of mind control]. The Pharaoh became a puppet in the hands of the Scarlet Council — a committee of archsorcerers elevated to power by the priesthood. These sorcerers then began the systematic destruction of all keys to the ancient wisdom, so that none might have access to the knowledge necessary to reach adeptship without first becoming one of their order [Suppression of intrinsic knowledge]. They mutilated the rituals of the Mysteries while professing to preserve them, so that even though the neophyte passed through the degrees he could not secure the knowledge to which he was entitled. Idolatry was introduced by encouraging the worship of the images which in the beginning the wise had erected solely as symbols for study and meditation [Deep allegorical meanings to this day are embedded in Occult symbolism, which decoded properly, can still convey the knowledge of the ages]. False interpretations were given to the emblems and figures of the Mysteries, and elaborate theologies were created to confuse the minds of their devotees. The masses, deprived of their birthright of understanding and groveling in ignorance, eventually became the abject slaves of the spiritual impostors. Superstition universally prevailed and the black magicians completely dominated national affairs, with the result that humanity still suffers from the sophistries of the priestcrafts of Atlantis and Egypt. Fully convinced that their Scriptures sanctioned it, numerous medieval Qabbalists devoted their lives to the practice of ceremonial magic. The transcendentalism of the Qabbalists is founded upon the ancient and magical formula of King Solomon, who has long been considered by the Jews as the prince of ceremonial magicians. Those who sought to control elemental spirits through ceremonial magic did so largely with the hope of securing from the invisible worlds either rare knowledge or supernatural power. The little red daemon of Napolean Bonaparte and the infamous oracular heads of de Medici are examples of the disastrous results of permitting elemental beings to dictate the course of human procedure. While the learned and godlike daemon of Socrates seems to have been an exception, this really proves that the intellectual and moral status of the magician has much to do with the type of elemental he is capable of invoking [are they using Wizardry or Sorcery as described above]. But even the daemon of Socrates deserted the philosopher when the sentence of death was passed. Transcendentalism and all forms of phenomenalistic magic are but blind alleys — outgrowths of Atlantean sorcery; and those who forsake the straight path of philosophy to wander therein almost invariably fall victims to their imprudence. Man, incapable of controlling his own appetites, is not equal to the task of governing the fiery and tempestuous elemental spirits. Many a magician has lost his life as the result of opening a way whereby submundane creatures could become active participants in his affairs. When Eliphas Levi invoked the spirit of Apollonius of Tyana, what did he hope to accomplish? Is the gratification of curiosity a motive sufficient to warrant the devotion of an entire lifetime to a dangerous and unprofitable pursuit? If the living Apollonius refused to divulge his secrets to the profane, is there any probability that after death he would disclose them to the curious-minded? Levi himself did not dare to assert that the specter which appeared to him was actually the great philosopher, for Levi realized only too well the proclivity of elementals to impersonate those who have passed on. The majority of modern mediumistic apparitions are but elemental creatures masquerading through bodies composed of thought substance supplied by the very persons desiring to behold these wraiths of decarnate beings. 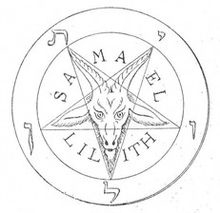 The practice of magick – either white or black – depends upon the ability of the adept to control the universal life force – that which Eliphas Levi calls the great magical agent or astral light. By the manipulation of this fluidic essence, the phenomena of transcendentalism are produced. The famous hermaphroditic Goat of Mendes was a composite creature formulated to symbolize this astral light. 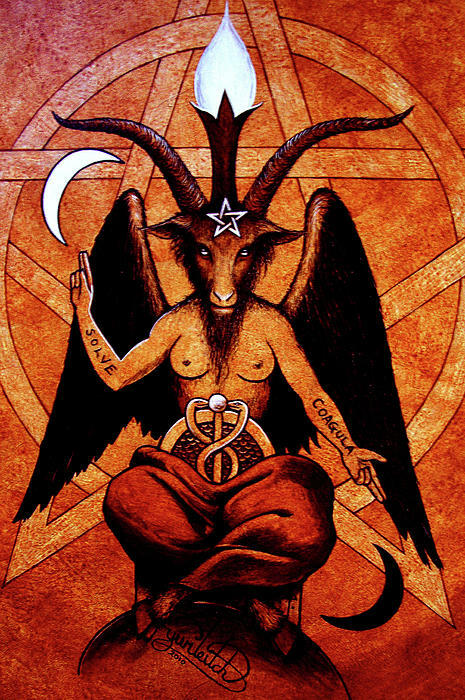 It is identical with Baphomet, the mystic pantheos of those disciples of ceremonial magic, the Templars, who probably obtained it from the Arabians. Second. By means of the secret processes of ceremonial magic it is possible to contact these invisible creatures and gain their help in some human undertaking. 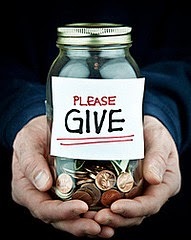 Good spirits willingly lend their assistance to any worthy enterprise, but the evil spirits serve only those who live to pervert and destroy [it is easy to discern which spirit you have contacted once you gain awareness of the 2 modes of manifestation described above]. The most dangerous form of black magic is the scientific perversion of occult power for the gratification of personal desire. Its less complex and more universal form is human selfishness, for selfishness is the fundamental cause of all worldly evil [selfishness which is not harmonized with the whole. Holistic Self-Centeredness, is entirely different. If we acknowledge the ONENESS of all things, and identify with the ALLSELF then we are entering the realm of Wizardry]. A man will barter his eternal soul for temporal power, and down through the ages a mysterious process has been evolved which actually enables him to make this exchange. In its various branches the black art includes nearly all forms of ceremonial magic, necromancy, witchcraft, sorcery, and vampirism. Under the same general heading are also included mesmerism and hypnotism, except when used solely for medical purposes, and even then there is an element of risk for all concerned [transparent co-creation is key]. Though the demonism of the Middle Ages seems to have disappeared, there is abundant evidence that in many forms of modern thought — especially the so-called “prosperity” philosophy, “will-power building” metaphysics, and systems of “high-pressure” salesmanship — black magic has merely passed through a metamorphosis, and although its name be changed its nature remains the same. A well-known magician of the Middle Ages was Dr. Johannes Faustus, more commonly known as Dr. Faust. By a study of magical writings he was enabled to bind to his service an elemental who served him for many years in various capacities. Strange legends are told concerning the magical powers possessed by Dr. Faust. Upon one occasion the philosopher, being apparently in a playful mood, threw his mantle over a number of eggs in a market-woman’s basket, causing them to hatch instantly. At another time, having fallen overboard from a small boat, he was picked up and returned to the craft with his clothes still dry. “While the black magician at the time of signing his pact with the elemental demon may be fully convinced that he is strong enough to control indefinitely the powers placed at his disposal, he is speedily undeceived. Before many years elapse he must turn all his energies to the problem of self-preservation. A world of horrors to which he has attuned himself by his own covetousness looms nearer every day, until he exists upon the edge of a seething maelstrom, expecting momentarily to to be sucked down into its turbid depths. “From my youth I followed art and science and was tireless in my reading of books. Among those which came to my hand was a volume containing all kinds of invocations and magical formulae. In this book I discovered information to the effect that a spirit, whether he be of the fire, the water, the earth or the air, can be compelled to do the will of a magician capable of controlling him. I also discovered that according as one spirit has more power than another, each is adapted for a different operation and each is capable of producing certain supernatural effects. “After reading this wonderful book, I made several experiments, desiring to test the accuracy of the statements made therein. At first I had little faith that what was promised would take place. But at the very first invocation which I attempted a mighty spirit manifested to me, desiring to know why I had manifested him. His coming so amazed me that I scarcely knew what to say, but finally asked him if he would serve me in my magical investigations. He replied that if certain conditions were agreed upon he would. The conditions were that I should make a pact with him. This I did not desire to do, but as in my ignorance I had not protected myself with a circle and was actually at the mercy of the spirit, I did not dare to refuse his request and resigned myself to the inevitable, considering it wisest to to turn my mantle according to the wind. “I then told him that if he would be serviceable to my desires and requests and needs for a certain length of time, I would sign myself over to him. After the pact had been arranged, this mighty spirit, whose name was Ashteroth, ["Ashtar" -B:.B:.] introduced me to another spirit by the name of Marbuel, who was appointed to be my servant. I questioned Marbuel as to his suitability for my needs. I asked him how quick he was, and he answered, ‘As swift as the winds.’ This did not satisfy me, so I replied, ‘You cannot become my servant. Go again whence you have come.’ Soon another spirit manifested itself, whose name was Aniguel.